Today I’m launching a website that has been in the making for a while now – FlashPrototyping.com (see the launch e-mail). 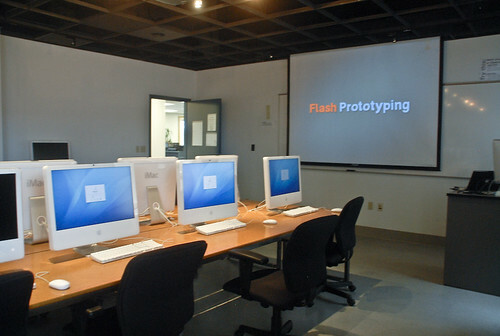 As my project for today, I’m putting together a workshop here in San Diego, CA on using Flash as a prototyping tool. 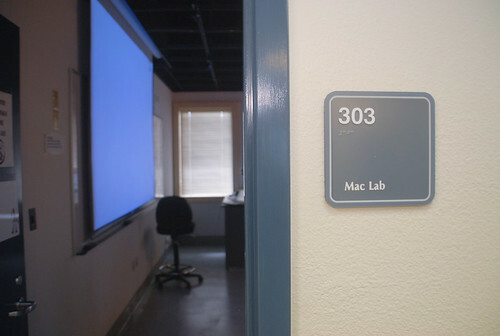 It’s being held from 4pm-7pm at Point Loma Nazarene University in the Ryan Library Mac Lab. 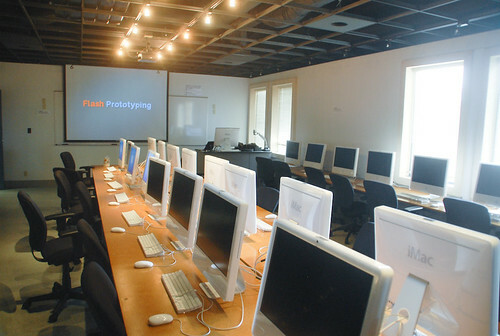 The workshop went well – we spent time talking about why to prototype your ideas, and why to test, common ways of prototyping, and then reasons to use Flash as a prototyping tool. After that we looked at the Flash environment for a while (all of the attendees had no prior Flash knowledge) and learned some of the basics such as tweening and frame switching. I think the first part went well, but next time I plan to focus more on creating solid examples for stepping in to Flash and how to customize it for learning with the purpose of prototyping. © NYU ITP 4-in-4 » Flash Prototyping Workshop 2010, All Rights Reserved.